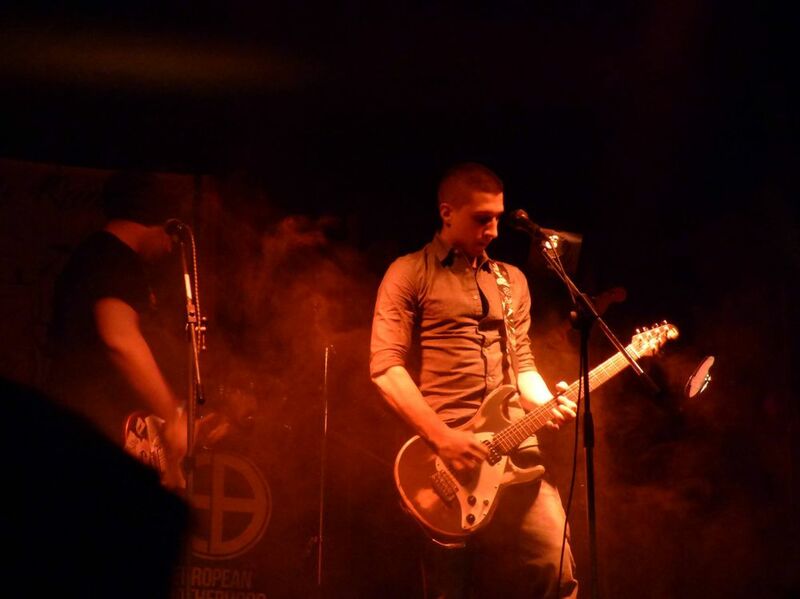 A musically resistance against the Modern World from this young Italian punk rock band. 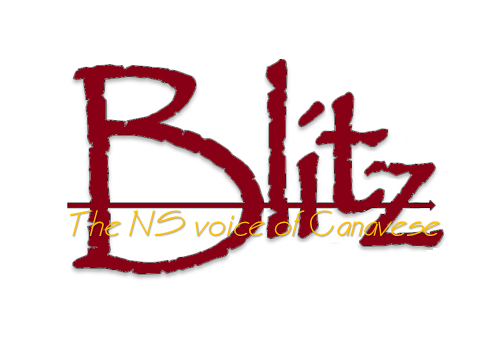 We are happy to give our readers an interview with Blitz. Enjoy. When did you start your musical project? -Our musical project started 3 years ago. From which part of Italy do you come from? And how is the situation in your area? -We come from Ivrea, a town near Turin, in the north west of Italy. The political situation of this area is growing for our ideas. We have not an history like Veneto or Lombardia, but now there are many little groups of young nationalists that are creating their communities. You have released your first album "Menzogna". Please present it to our readers. -Our first album "Menzogna" has 11 tracks. Musically, is a punk rock album, but songs are different one to one. There is a ballad "Fango e fiori" talking about love and political militancy. So, there is also "Qualcosa di grande", an acoustic song with only an acoustic guitar and a bass. Other songs are electric and speaks about our national revolutionary ideal. 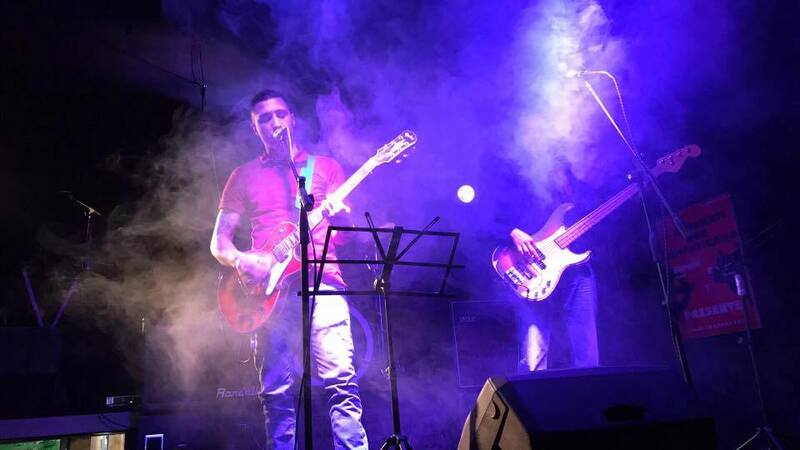 "Madonnina dai riccioli d'oro" is a cover that came from the tradition of north Italy, and we played in electric style. "Claretta e Ben" is a cover of 270 bis, dedicated to Benito Mussolini and Claretta Petacci. the other cover is "For fight", which is a song of "Discriminazione Oi! ", a young Oi!/RAC band of Turin. I see that you have been taking part of Massiomo Marsello memorial. Can you spare a moment about who Massimo was and why he deserves respect. -Yes, we got the honour to play at Memorial Massimo Morsello. He was the greatest songwriter in Italy, because he can transmit great emotions. He was the most forward-looking, because He understood first of all a lot of problems of the society. For example, in 1998 he wrote a song called "Maastricht", against the tracts and the European Union. With his songs dictated the path, and he is a spiritual father. You have made a song about the Battle of Assietta. What has the battle meant for Italy? -The song "Bogia nen" is a song dedicated to Charlie, the singer of Discriminazione Oi! and to all comrades in prison. So, from the battle of Assietta, in which Seven thousand Piedmont soldiers defeated thirty thousand French soldiers, came the slogan "Bogia nen", that understand an ideologically "don't move". I do not know about many Italian punk rock bands within the movement with nationalistic lyrics. Talk about your musical style. Where have you find your influences? -Our musical influences come from many parts of Europe. In the RAC area we could mention Sleipnir, Ultima Thule, Naked but Armed, Hobbit, Legitimate offense, Massimo Morsello, and many other artists. Musically, groups such as Offsprings, Foo Fighters, Bad Religion, Social Distorion, etc ... are also relevant to listening to everything, in order to be more versatile and to express our nationalistic and revolutionary thought. -The main motivation is to convey our ideals and to entertain, reflect and encourage the militants. Music is essential. My dream is to bring our songs to Europe, to get to know many militants like me. And the future of Blitz? -We are a constantly evolving band, and we are constantly striving for musical breakthroughs. We are about to start a new project together with four other young Italian bands, for an album together. Ours wants to be a message of unity among comrades. Thank you very much for your time. Any last words? -Thank you and greetings to all Swedish comrades!